Over time, as technology has increased, it seems the pace of our daily life, and the pressure to succeed has followed suit. To counter this growing stress, an interest in holistic health - a lifestyle which encourages a full and healthy connection between the mind, body and spirit - has soared. If you have scrolled through any social media platform recently, you would be well aware of societies desire to achieve a good work-life balance, have meaningful relationships and most of all, enjoy the life we have been given. So, this leads us to the question ... What is Natural Therapy? 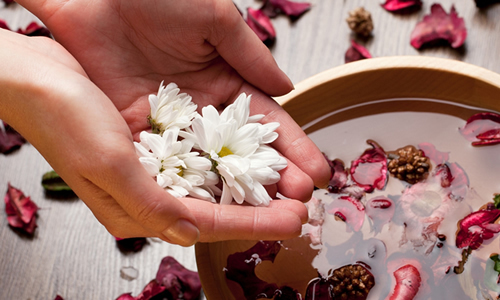 Natural therapy is the general term use when referring to the multitude of alternative medicines and treatments for both physical and emotional problems, such as acupuncture, massage therapy, aromatherapy and bach flower treatments. How can I begin my Natural Therapy career and what courses should I look into? For the majority of specializations further study is both necessary and life changing. For some areas, such as massage therapy, often a certificate IV is enough, however if you are interested in one of the many other areas, such as herbal therapy, you may need to complete an advanced diploma. While it is often not necessary, a bachelor degree in the field of health, nutrition, women's health or behavioral science as well as related study in a variety of different fields, such as biology, mathematics, chemistry, business and marketing could benefit your job prospects and salary in the future. After time spent in a corporate or business setting, many natural therapists chose to begin working for themselves, preferring the freedom and flexibility. Having knowledge regarding business and marketing, however small, will give many freelance natural therapists the confidence and skills to succeed. To find out more information regarding specific requirements and potential courses we recommend you contact a company in your local area specializing in your chosen field, they will be able to advise you on the common requirements they look for when hiring employees. After completing the required course, what are some possible career prospects? The changing attitude toward natural therapy and a holistic lifestyle, means the job opportunities are continuously increasing and we are regularly seeing exciting new developments in the natural therapy industry. Traditionally, natural therapists have worked in local medical centers, health shops, pharmacies or specialized workplaces for massage therapy, herbal therapy or nutrition advice. While this can be a rewarding, and well paying option, we are beginning to see many other opportunities opening up in the Natural Therapy industry, and it's not expected to slow down any time soon. Many professional corporations are beginning to understand the connection between employee happiness and productivity, turning to natural therapists in order to provide the solution. Mobile massage teams, which can provide workers with neck and back massages while sitting at their desk, as well as meditation specialists, who often lead the workplace in morning meditation are increasingly sought after. Furthermore, if you see yourself as a wandering soul, Natural therapists can often be found working in inclusive resorts and cruise ships abroad, and have the ability to see where the wind, and their skills, takes them. Due to the variety of career options, freelancing, consulting and corporate work, as well as working overseas, there is a wide range of salary options available. On average, a natural therapist working for a practice will earn $61,973 per year, however experience, skills and education can influence this number. If you work for yourself on a freelance basis you could expect to charge anywhere between $80-$200 per hour, depending on experience and specialization. What are the benefits of a career in Natural Therapy? The benefits of Natural Therapy are plenty, and if you are passionate about alternative health, holistic lifestyle and helping people then this is the job for you. Natural Therapists often have great work-life balance and are able to juggle clients around their family or personal commitments, as well as opportunities for overseas travel. If you are considering a career in Natural Therapies don't wait for too long, between now and 2018, job opportunities are expected to rise by 2%. There is no better time than now to begin your career, or improve your options through further learning.